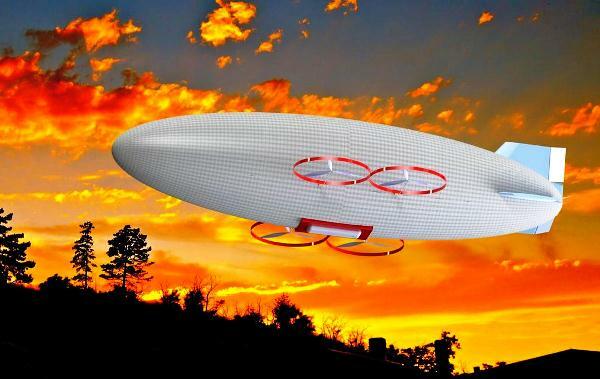 The “FIFA” system (Fire – Fighting Airship) is a remote controlled heavy lift airship which is designed to help fight forest wildfire. The “FIFA” system can operate 24 hours a day and can carry 20 tons of water and fire retardant. The main purpose of the “FIFA” system is to prevent forest wildfire expansion. In the United States alone, there are typically between 60,000 and 80,000 wildfires that occur each year, burning from 3 to 10 million acres of land. The “FIFA” system provides a complementary solution to this problem. During a forest wildfire, fire-fighting authorities can use the “FIFA” system in order to contain the forest wildfire while conventional aerial fire-fighting systems and ground forces move to extinguish the sources of the wildfire. There are several aerial fire-fighting systems and ground forces that use versatile techniques and tactics in order to extinguish a forest wildfire. These tactics depends on the type of the fire, environmental conditions, accessibility and etc. The main purpose of these systems is to stop the expansion of the wildfire and not to extinguish the source. 2) High speed of the aerial system during the payload distribution. 3) High altitude of the aerial system during the payload distribution. 5) Active only in day time. Therefore, in this project we aimed to find a solution to all of these issues and design a fire-fighting airship to provide a better response to the threat of a wildfire. 1) Total drag coefficient calculation according to the calculation of each part of the airship. 2) Wind tunnel experiment in order to select the airship tail configurations. 1) Development of a linear model for the longitudinal dynamics. 2) Stabilization of the airship in open loop. 3) Designing a pitch angle controller. 4) Designing a Fluid distribution pipe control system. The result of all the above is the preliminary design of the “FIFA” system, a potentially game-changing addition to the arsenal in the fight against wildfires.